Laurent started off his professional career with Brive in the French Third Division in the 1990-91 season, scoring regularly for a winger, managing thirty-five goals in eighty-one appearances before being signed by First Division Bastia and scored thirteen times in seventy-three appearances before George Graham brought him to Leeds United in February 1997 for £275,000 and he made two starts and two substitute appearances before the end of that season without scoring. A fleet footed winger, Laurent had been bought just before the close of the transfer window, which was unusual as he would have been available on a Bosman had Graham waited until the summer. However, he claimed he wanted to beat the competition for his signature. For his part Laurent was quite happy to join a club who had just survived in the EPL to staying with a club who were chasing a UEFA Cup place. His main assets were excellent pace and a good technique harnessed to a capacity for hard work. 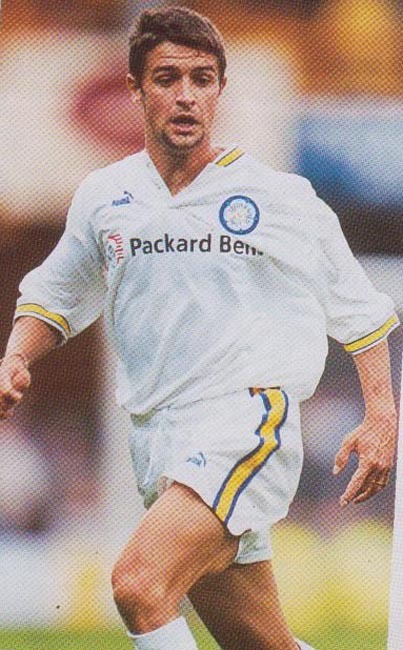 An exciting player it was hoped that once he had settled in at Elland Road and was more familiar with the swifter, more intense EPL game, that he would add to both United’s counter-attacking abilities and squad strength for a new look Leeds team in the 1997-98 season. Things didn’t quite go to plan and several of Graham’s signings hardly played a game that season, and, in March 1998, he returned to Bastia for £500,000. It was a tidy profit, but he went without playing one game in that season. On his return he played another seventy-seven times for Bastia in the League, of which thirty-five were from the bench, and scored thirteen goals in four seasons. He moved to RC Strasbourg in July 2001 and scored three times in twenty-one games in the League, of which eighteen were as a substitute and he also made two substitute appearances in the UEFA Cup before retiring at the end of the 2002-03 season.